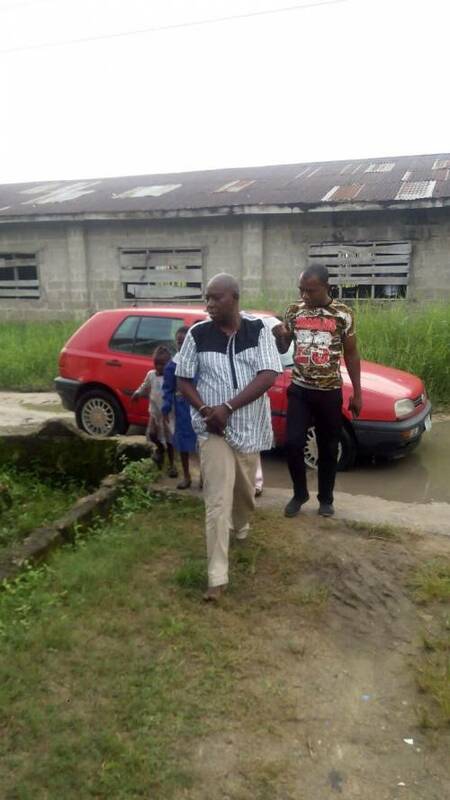 Policemen attached to the Sapele Police Station, Sapele Local Government Area of Delta State, have arrested a 54-year old man, Mr. John Onose, for allegedly defiling a seven-year-old girl. Onose is said to be an aide to the Delta House of Assembly Speaker, Monday Igbuya. SaharaReporters learned that Onose, on Tuesday, allegedly lured the victim, a KG2 pupil, to a bush close to his home at Fovie Street, Sapele, and raped her. A source familiar with the incident said the victim's mother, Onome Ojakovo, was not aware until the next day when her daughter started complaining of severe pains. 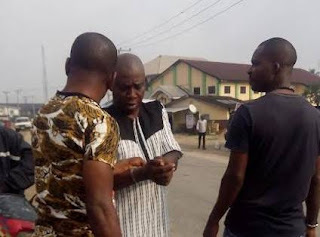 When confronted by Mrs. Ojakovo, Onose, a former councillor, and member of the Peoples Democratic Party (PDP), threatened to deal with her should she make the incident public. Onose is said to be married and has six children. "The little girl was playing with two other children while her mother, a neighbor to the suspect, was drying clothes outside, but noticed the disappearance of the girl and started looking for her. "After about 20 minutes, the child came out from the corner of the suspect's house" a source told SaharaReporters. When SaharaReporters visited the Sapele Central Hospital, where the victim is on admission, a doctor, who pleaded for anonymity, confirmed the incident. According to the doctor, the victim is responding to treatment but was badly traumatised. Narrating the incident to SaharaReporters at the hospital premises, the victim's mother said her daughter was playing with two other kids when she noticed that her daughter was nowhere to be found and to her surprise, she later saw her daughter emerge from somewhere close to the suspect's house. "When my daughter came out from the corner of Mr. Onose’s house, I didn't suspect anything until she complained that her private part were hurting badly. "I still didn’t pay serious attention to it. "I asked her to go and wash herself, but when she came back from the school the next day and was still complaining of the pains, I decided to check and what I saw shocked me," she said. She explained that her daughter was bleeding profusely. In my shock, I raised an alarm, which attracted my neighbours. "It was then it dawned on me that my child had been sexually violated. "I started crying and I couldn’t imagine who could have done this evil to my child. "I was then advised to put salt in a hot water with disinfectant and get my daughter to sit astride the hot water. "Mr. Onose came out of his compound, and when my daughter saw him, she was shocked and pointed to him as the man that injured her," Mrs Ojakovo said. She added that her daughter told her that the man called her to somewhere close to the bush, covered her mouth and penetrated her. Mrs. Ojakovo said the daughter also told her that Onose only let her go when he heard her calling her daughter's name while looking for her. She further said Onose and his wife threatened that she would be dealt with if she told anyone, the reason for which she involved the police. When contacted, the Divisional Police Officer at Sapele Police Station, CSP Badaru Musa, confirmed the incident, stating that the police are still conducting their investigation. “We are currently investigating the case, but until the reports of the medical examinations conducted on the girl and the suspect are released, we cannot make an official statement. "But because of the nature of the case, the suspect is currently in detention," Musa said. The Delta State House of Assembly Speaker, Mr. Igbuya did not answer calls put through to his mobile line. His Chief Press Secretary, Mr. Henry Ebireri, who had earlier said Onose was the Speaker's political associate, turned to disown Onose, branding him a member of the All Progressives Congress (APC).